Four ASU students have won a place in the premiere international student technology competition by taking first place, April 23, in the U.S. Finals of the Microsoft Imagine Cup in Seattle. Their team, named FlashFood, earned a trip to the Imagine Cup Worldwide Finals in Sydney, Australia in July. The students also earned $18,000 to support their venture to apply new technologies in developing and coordinating a real-time food-recovery and distribution system. It uses Web applications and smart phones to help local communities prevent food waste and deliver fresh food to people in need. 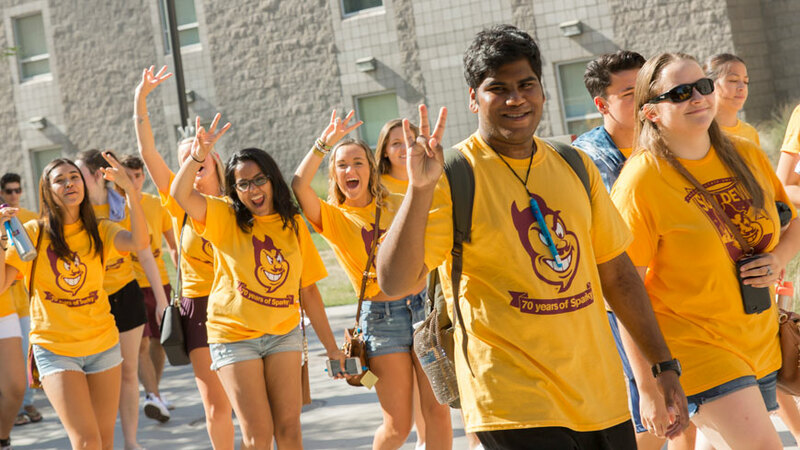 The first-place finish also brings a $10,000 donation to ASU. Team members are senior biomedical engineering major Eric Lehnhardt, senior materials science and engineering major Katelyn Keberle, senior computer science major Steven Hernandez and senior marketing and sustainability major Jake Ervin. In Australia, they will compete against student teams from about 70 other countries. Hundreds of student teams vied for spots in the Imagine Cup U.S. Finals. FlashFood was among 10 teams selected to compete in the Software Design category – which the team won. Another 12 teams were finalists in the Game Design category. 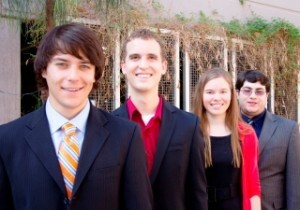 It’s the second year in a row that an ASU student team won the Software Design category in the U.S. Finals. Team Note-Taker developed a portable custom-designed camera connected to a pen-and-multitouch Tablet PC that aids students with visual impairments in takes notes in classes. Team Note-Taker then won second place in the category in the Worldwide Finals in New York City. 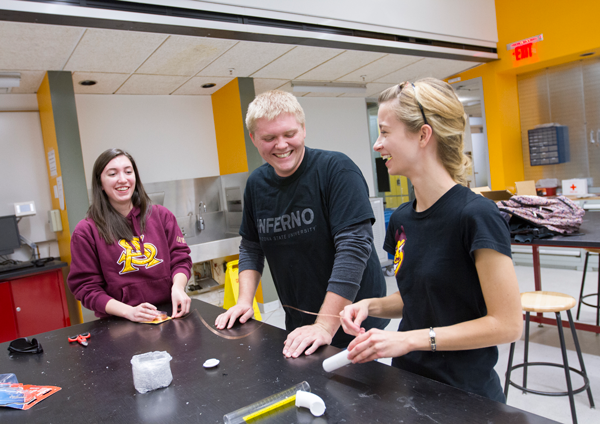 FlashFood’s effort has evolved from projects developed in the Engineering Projects in Community Service (EPICS) program in ASU’s Ira A. Fulton Schools of Engineering and the Students in Free Enterprise (SIFE) program in ASU’s W. P. Carey School of Business. EPICS director Richard Filley is FlashFood’s faculty adviser. The team is forming a network of restaurants and banquet halls to donate leftover and surplus food to local community centers and churches for distribution to families and individuals. The mobile-phone application will help manage the food pickup and distribution system. The app would be used for communications between the providers, collectors, distributors and recipients of the food. The Imagine Cup competition challenges student to use technology in efforts to develop innovative solutions to some of the world’s biggest problems. The Imagine Cup began in 2003 with about 1,000 students working with various teams. By last year, more than 358,000 students from 183 countries and regions around the world participated on teams trying to move through the stages of the competition.